The Kwik Save supermarket was formerly FineFare. 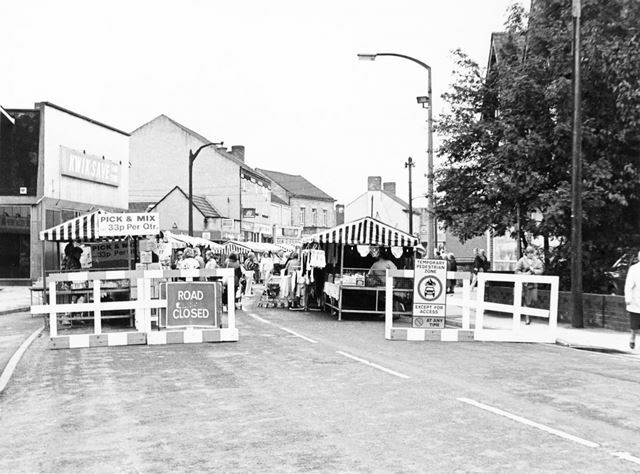 This photograph was taken from Staveley Market Place, showing the stalls on market day. The road is closed due to renovation works being done to the market place.